In the way Creative Labs were a major player with sound cards, Adaptec were the equivalent in regards to SCSI cards. Here I picked up Adaptec’s 2906 still in shrink wrap. SCSI (pronounced “scuzzy”, and meaning Small Computer System Interface) was the interface of choice for devices where faster data transfer speeds were of benefit. This typically meant hard disks, CD-ROM drives, scanners, and Zip drives, as an alternative to the slower IDE and parallel cable options available. Lately I haven’t been trawling through eBay until only just a few days ago. 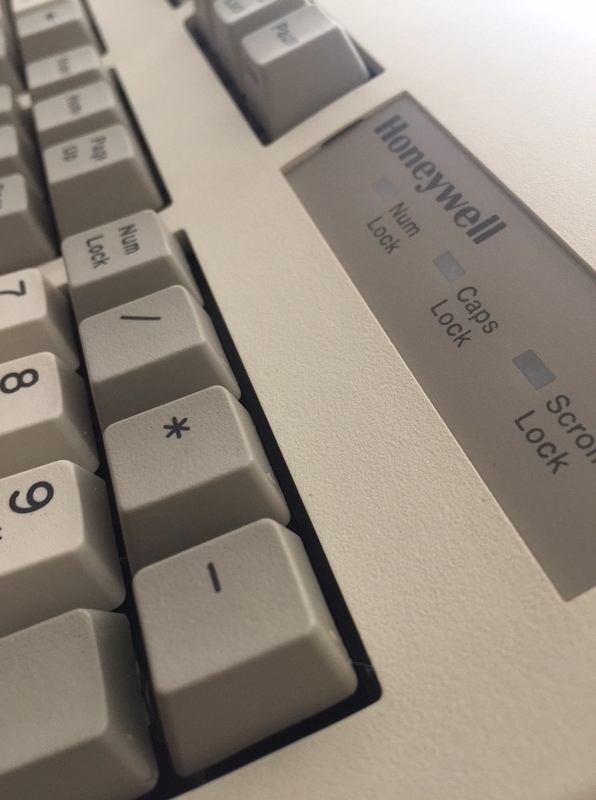 When I did this keyboard was found, known as a Honeywell 101WN. In more recent times of owning 486 and early Pentium PCs, I didn’t find much in the way of keyboards. IBM mechanical keyboards have the reputation as being the best, with ones in excellent condition easily going for $200 or so, sometimes more. Alternatively I took the approach of picking up a couple of new Microsoft PS/2 keyboards, as they were cheaper and easier to find. These would then be plugged into an adapter to convert PS/2 to the old 5-pin DIN connector on the motherboard.